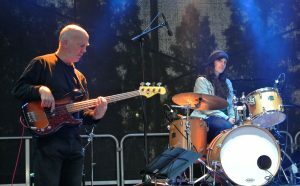 We had a very cold but lovely gig Friday 27 Oct at the Big Send Off in Leeds. We were joined by the great Sarah Statham of Esper Scout who sat in on the drums at the last moment, with no rehearsal and did a right grand job. There was a great line up of talent, huge variety and all top stuff. Just got to get rid of this cold now. Richard playing not only drums but, for the first time with us, the bass as well. We had a great night playing at the Cloth Cat gig at the Chemic in Leeds. Cloth Cat do amazing work and it’s always a pleasure to play one of their events. 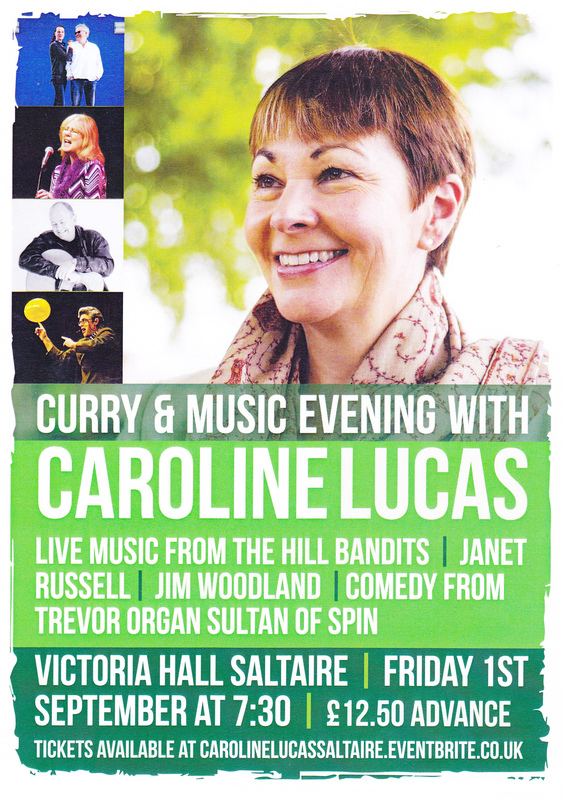 We’re really excited to be playing supporting Caroline Lucas, Green Party MP, this Friday, 1st Sept 2017 at Victoria Hall, Saltaire. If you want to come best get a ticket soon as it’s nearly sold out. 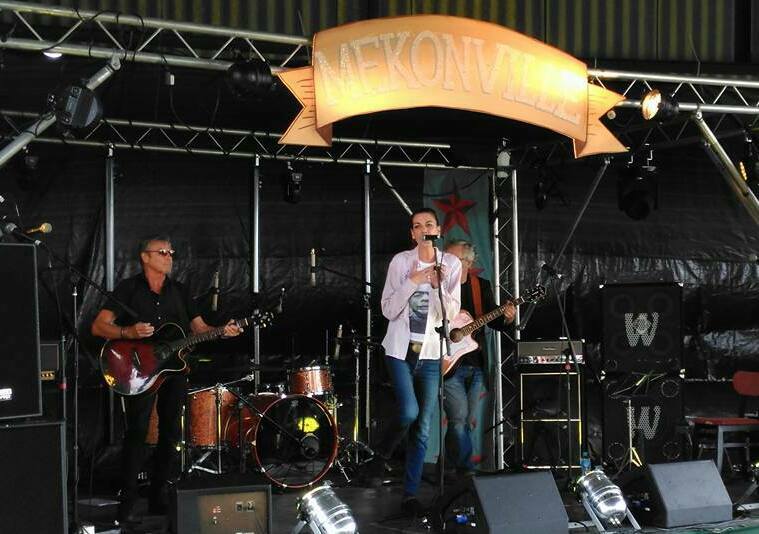 We had a great time at Mekonville, July 2017, and were joined by an original Hill Bandit, Rico Bell for our set. It was a shame Dave and Richard couldn’t make it. 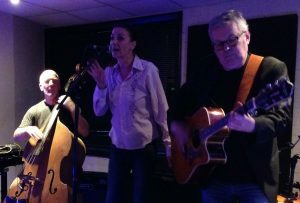 We’ll be playing LS6 Cafe, Hyde Park, Leeds Sunday lunchtime 12-1pm, on July 16th 2017. This will the first outing for the full line up, with both Dave Bowie Jr and Richard Ormrod playing and we’re really looking forward to it. Richard Ormrod. 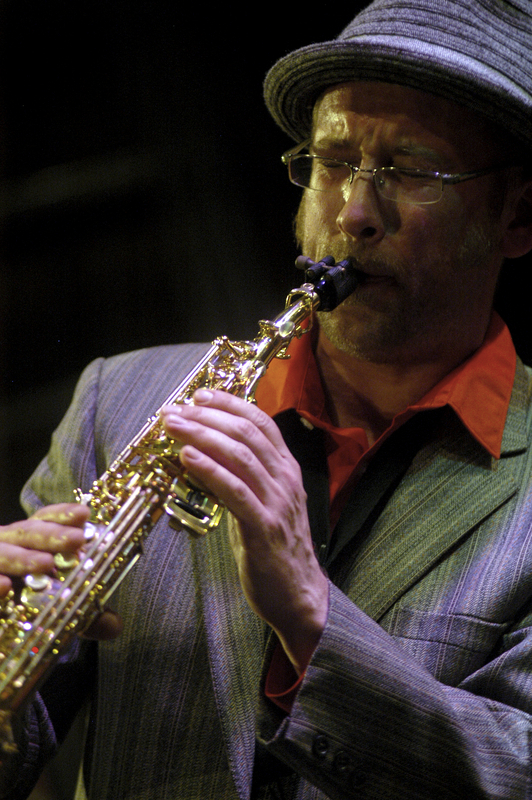 For a sax player he’s not a bad drummer. We’re made up to welcome Dave Bowie Junior on bass and Richard Ormrod on drums to our number. 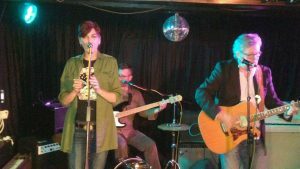 They are both incredibly busy musicians, gigging with more bands than we can even remember so we’re really lucky to have them join us. 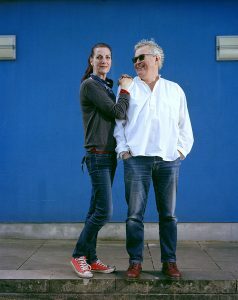 (Even if they can’t always make the gigs…). We had a great time playing our first gig for 4 years at Eiger studios. 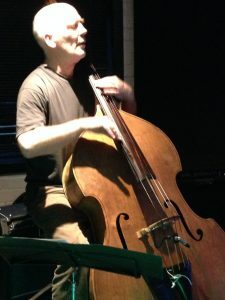 We came over all acoustic and Dave Bowie Jr joined us on double bass – and looked epic and played beautifully. Someone told us our version of Aragon Mill raised the hairs on the back of their neck. We’re really chuffed to have been asked to play at Eiger Studios 10th birthday on May 6th 2017.